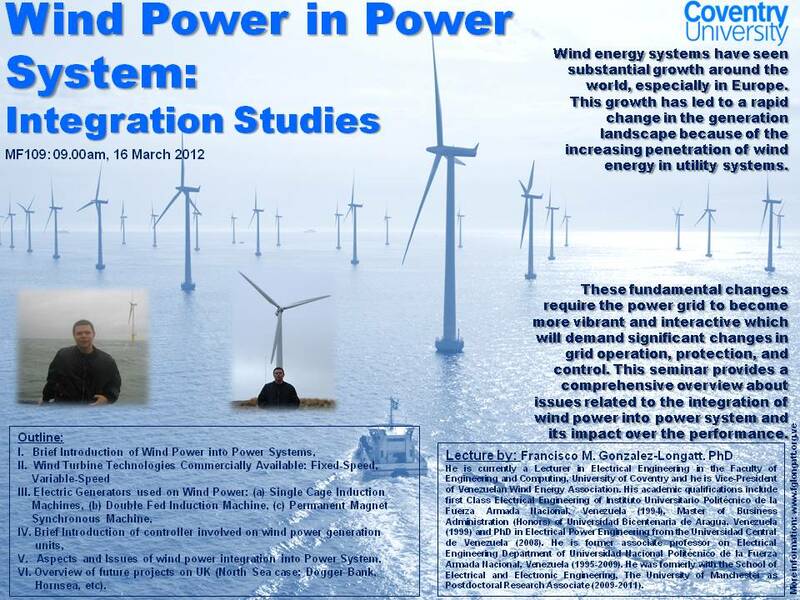 Special Lecture on "Wind Power into Power Systems: Integration Issues"
Wind energy systems have seen substantial growth around the world, especially in Europe. This growth has led to a rapid change in the generation landscape because of the increasing penetration of wind energy in utility systems. These fundamental changes require the power grid to become more vibrant and interactive which will demand significant changes in grid operation, protection, and control. 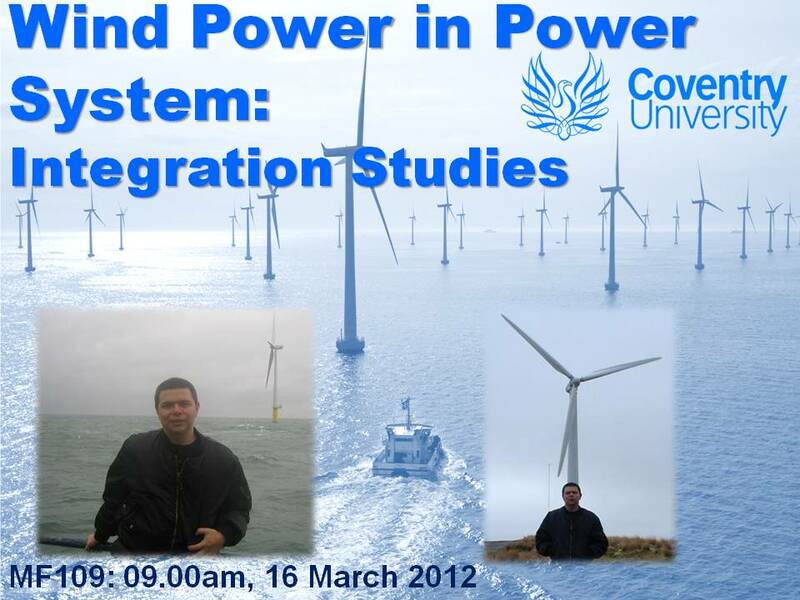 This seminar provides a comprehensive overview about issues related to the integration of wind power into power system and its impact over the performance. VI. Overview of future projects on UK (North Sea case: Dogger Bank, Hornsea, etc). He is currently a Lecturer in Electrical Engineering in the Faculty of Engineering and Computing, University of Coventry and he is Vice-President of Venezuelan Wind Energy Association. His academic qualifications include first Class Electrical Engineering of Instituto Universitario Politécnico de la Fuerza Armada Nacional, Venezuela (1994), Master of Business Administration (Honors) of Universidad Bicentenaria de Aragua, Venezuela (1999) and PhD in Electrical Power Engineering from the Universidad Central de Venezuela (2008). He is former associate professor on Electrical Engineering Department of Universidad Nacional Politécnico de la Fuerza Armada Nacional, Venezuela (1995-2009). He was formerly with the School of Electrical and Electronic Engineering, The University of Manchester as Postdoctoral Research Associate (2009-2011).